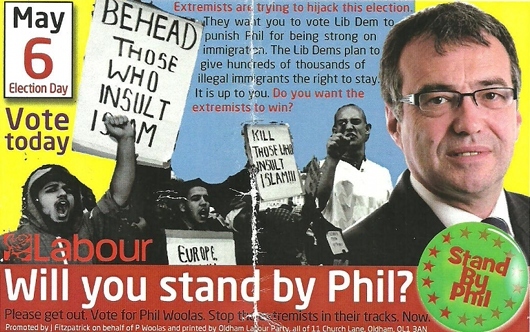 The former immigration minister Phil Woolas was ejected from parliament yesterday after two high court judges ruled that he lied about his Liberal Democrat opponent during the general election. The judgment is the first of its kind in Britain for 99 years and is likely to make campaign managers in future elections think a little bit more carefully about the content of their promotional materials. Woolas, who won the seat by just over 100 votes, is going to appeal the judgment on the basis of freedom of political speech. In the USA such freedom of political speech is enshrined in law, however, in the UK the issue is much less clear. Woolas fell foul of section 106 of the Representation of The People Act. General lying (not ‘personal’) comes under section 115. Thus no precendent has been set in the Woolas trial regarding ‘liar flyers’ distributed by parties. As a lie is a lie, one wonders who felt it necessary to divide the class . . .